I love this image!! Aren't these chicks supercute? I think they are perfect for someone turning 50 years!! 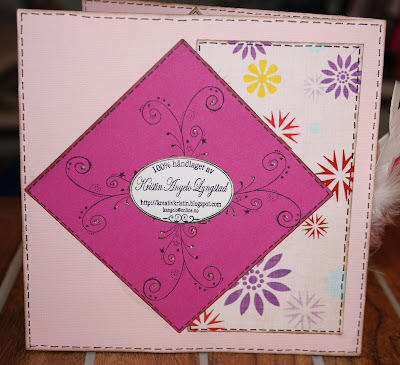 And they are perfect for a extravagansa card for Sukkersøtt's challenge this week. 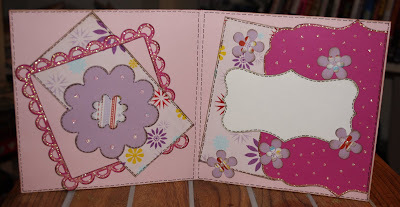 The card is made with Just Christmas and Birthdaycards sketch #53 which is still going on. I was late making and posting my card for the blog, but I still want to make cards using Georgia's lovely sketch. Wow et smukt kort. Jeg er helt vild med pink/lyserød. Hvor er kortet flot dekoreret inden i. Det er meget SMUKT. Jeg kan godt lide at der er glitter på også. 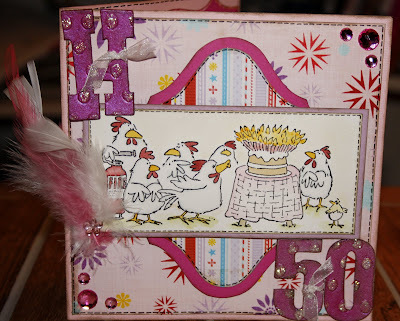 oh kristin what a perfect image for a 50th birthday ~made me smile! !